Governments, business leaders and civil society to advance action for Small Island Developing States at UN global gathering in Apia, Samoa. Facing a range of challenges, small island developing states (SIDS) are counting on a crucial September United Nations conference to present their case to the international community in order to seek collaborative and innovative ways to improve their situation. World leaders, CEOs, United Nations and civil society representatives attending the meeting will seek to galvanize renewed action for SIDS and articulate small island priorities for the next 20 years. This includes identifying how small island nations will transition to a more sustainable development path, including adapting to climate change, preserving the oceans and developing renewable energy sources. Partnerships to achieve these objectives will be at the heart of the conference and over 200 new partnerships are expected to be part of the conference outcome. Major new commitments and initiatives on a range of issues expected to be announced will also have measurable impacts in advancing the economic, social, and environmental well-being of SIDS. The conference will thus provide a crucial opportunity to mobilize all sectors of society to promote equitable growth, social well-being, and a low-carbon economy, while at the same time preserving the environment on which many SIDS are dependent. The meeting is the last high-level UN event before the Secretary-General’s late September Climate Summit, and will be an important input into General Assembly discussions in New York. 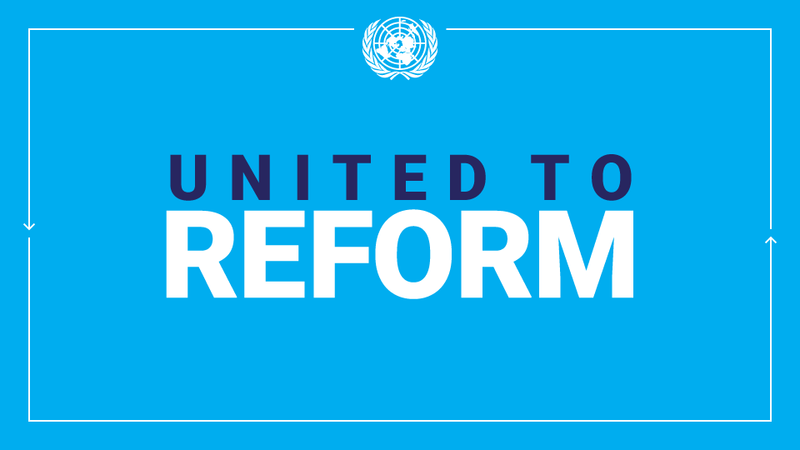 World leaders, UN Secretary-General Ban Ki-moon and Conference Secretary-General Wu Hongbo will be joined by business CEOs, parliamentarians, mayors, non-governmental organizations, academics, senior UN officials and representatives of many other non-state actors. The conference will be held from 1 to 4 September 2014 at the Faleata Sports Complex in Apia, Samoa. The Faleata Golf Course, which is adjacent to the conference site, will serve as a venue for pre-conference activities from 28–31 August, and for side events from 1–4 September. The latest listing of key events to take place during conference can be found at http://www.sids2014.org. Pre-Conference Events: As the host of the 3rd SIDS Conference, Samoa attaches great importance to pre-conference events to complement and reinforce the purpose and outcomes of the conference and partnership dialogues. 28 August: SIDS Youth Forum – Towards a Legacy of Achievement, Versatility, Opportunity through Partnership and Unity. The Forum will focus on identifying opportunities for young people from Small Island Developing States. 29 August: Major Groups and other Stakeholders Forum – The goal of this Forum is to focus on identifying durable partnerships through which the sustainable development of SIDS can be promoted. 30 August: Renewable Energy Forum – Renewable energy has the potential to play a key role in enhancing energy security in SIDS and assisting them to achieve their sustainable development objectives. This forum will identify ways for transitioning from fossil fuels to renewable energy resources. 30-31 August: Private Sector Forum – This forum will provide a platform upon which ‘effective, innovative and concrete partnerships’ can be developed, strengthened and announced to support the implementation efforts of SIDS sustainable development priorities. Accreditation: Media accreditation is strictly reserved for members of the press, print, photo, radio, TV, film, news agencies, and online media who represent a bona fide media organization. Detailed information on how to request accreditation is to be found on the following website: http://www.un.org/en/media/accreditation/SIDS.shtml. Press conferences: A full schedule of press conferences will be organized by the Office of the Spokesperson for the conference, including regular briefings by the spokesperson. A schedule of press briefings will be posted in advance online and a media alert will be sent out by e-mail each evening for the following day, with updates as needed. Multimedia: The UN Department of Public Information will provide comprehensive TV, webcast, radio, photo, print and internet coverage of the official plenary statements, round-tables and press conferences. Webcasting: All plenary statements, multi-stakeholder dialogues, press conferences and some side events will be webcast. The United Nations webcast services will provide live and on-demand coverage of the plenary, partnership meetings and press conferences. The coverage will be available on the UN Web TV website at: http://webtv.un.org in English and the original language of the speaker. Broadcast: Audio-visual and sound feeds of the main meetings, multi-stakeholder dialogues, press conferences and other events will be provided to broadcasters. More information on commercial providers for satellite uplinks and other services will be issued when available. Digital Media Lounge: An area for use by bloggers without media credentials will be made available. It will be equipped with desks with plug-ins for laptops and a video camera in a small glass studio. More information will be issued when available. a passport remaining valid six (6) months from intended departure date from Samoa. Please also check the entry or transit permit requirements for transit countries at the nearest Embassy or Consulate. Transit countries immediate to Samoa are New Zealand (Auckland), Australia (Sydney, Brisbane), Fiji (Nadi), and United States (Los Angeles, Hawaii and American Samoa). Transportation: Daily transportation will be provided to all conference participants between airports and hotels and the conference venue. All participants are advised to complete the online accommodation registration form. Accommodation: A centralized accommodation booking system is available at www.sidssamoa2014.ws although accommodation is extremely limited. All delegates, including UN staff, media and NGOs, will need to comply with the minimum stay requirements of five nights. Deadline for online registration for hotels was 30 June 2014 for people to be assured of their preferred booking. For further information or assistance on accommodation matters please contact Samoa.accomodation@unsids.com. Source: Media Advisory 30 July (pdf).